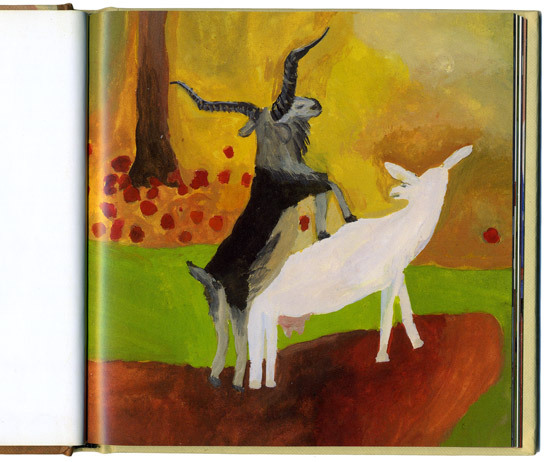 A page from Kozí knížka (Goat Story) by Tereza Říčanová, an unsentimental Czech picture book about goat husbandry. It might not surprise you to hear that I love to visit bookstores in other countries. 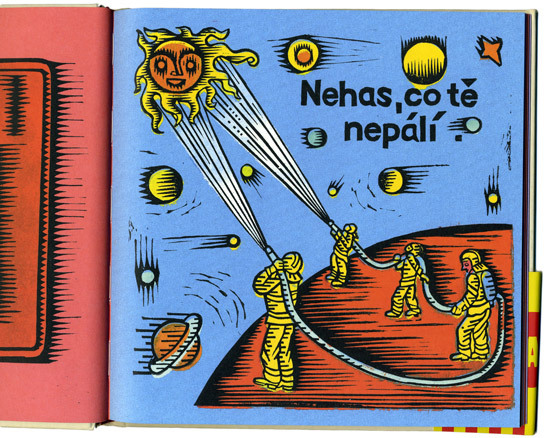 Even when I don’t understand the language they’re written in, picture books are quite satisfying to page through. 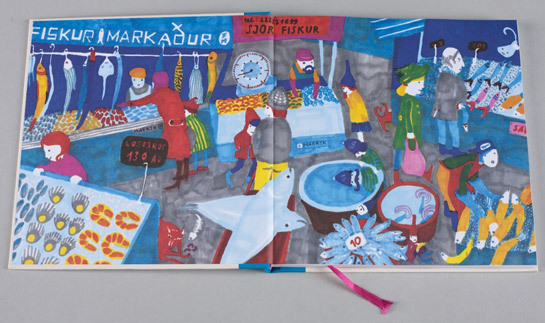 Foreign picture books are a part of the travel experience, as illustration styles and tastes vary from country to country. 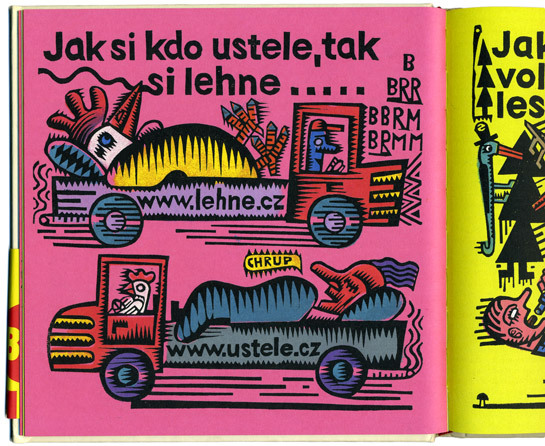 When I visited Prague a few years ago, I bought a couple of books from a wonderful artsy publisher, Baobab. Check out their English-language site! I am actually not totally convinced, because it’s about what you’d expect of a story about goat farming: life cycle, what we use goats for, etc. It’s just more frank than usual, with pictures showing a mama goat giving birth, a goat peeing, a farmer slitting a goat’s throat, and other choice moments. Plus some idyllic farm scenes! This next one, O smutném tygrovi (Of a Sad Tiger) by Alois Mikulka, is a reissue from 1968 that I found on the Baobab website. 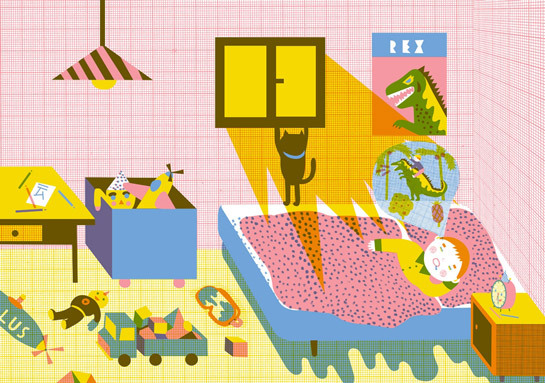 I really love the scribbly, playful, colorful illustrations. 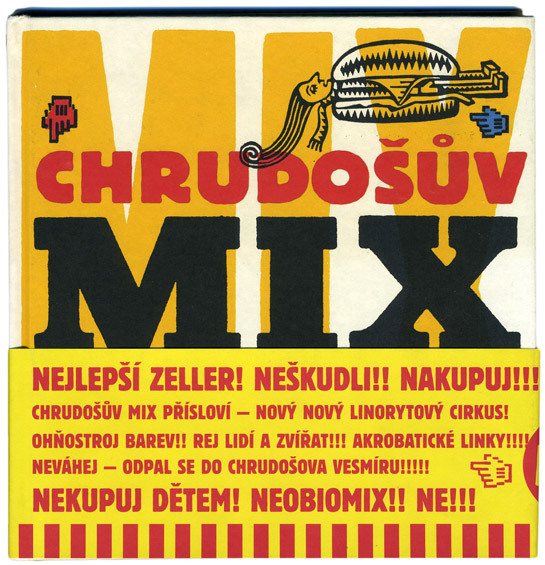 I bought the book after that, Chrudošův mix přísloví by Chrudoš Valoušek, without having any idea what it was about. I just liked the bold linocuts and the circus-y feel. Turns out it’s a book of illustrated proverbs! Well, I’m into that kind of thing. 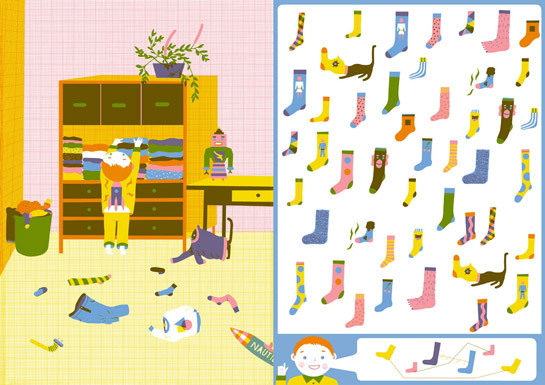 Scroll down to see more from Baobab! From O smutném tygrovi (Of a Sad Tiger) by Alois Mikulka. From Chrudošův mix přísloví (Chrudoš’s Mix of Proverbs) by Chrudoš Valoušek. 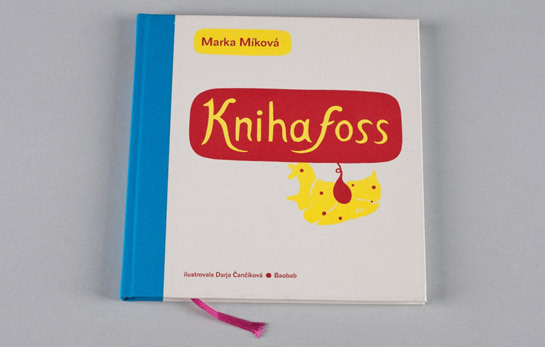 From Knihafoss (Bookfoss) by Marka Míková, illustrated by Darja Čančíková. 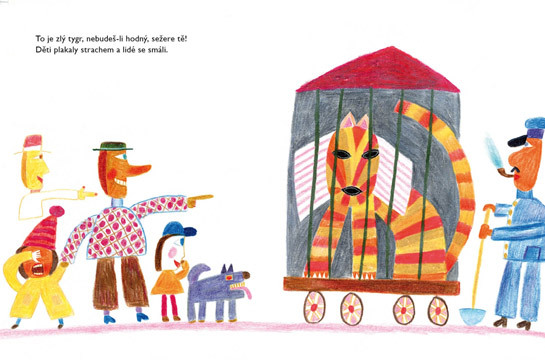 From Chlebová Lhota (Chronicles of Breadburg) by Dagmar Urbánková. From 12 hodin s Oskarem (12 Hours with Oscar) by Eva Maceková. Wow – would love to hold Chronicles of Breadburg in my hands. Okay, all of them! Thanks for sharing!